Spice up your lamp shade. 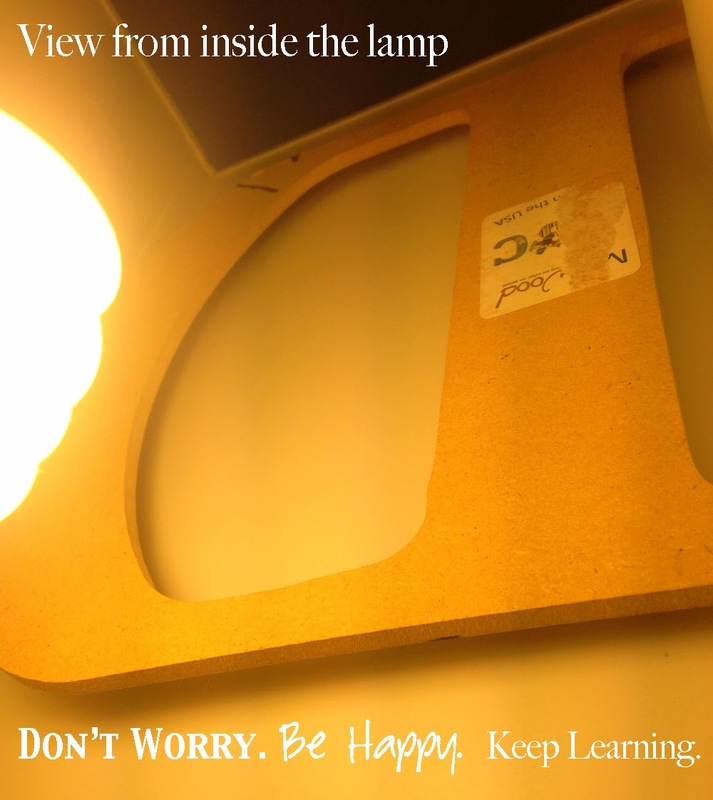 I came across an idea on Pinterest to put wording inside lamp shades to create a shadow and interest. I decided to put my own twist on it and use a large Monogram and insert it behind our square lamp shade shelf thing in our living room. The "D" I happen to have was like $2 at Michaels and it fit perfectly in the space of the shade, so no fixtures were needed. It's just snug in there. 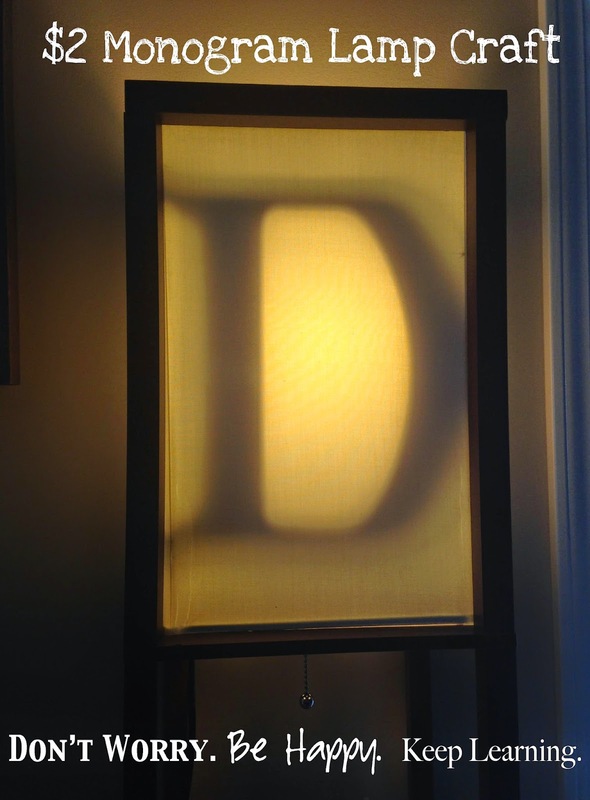 So now when our lamp is on there is a shadow of a "D" that can be seen. at 12:44 PM 1 Comments Topics: Blog., Crafts., Design. Is anyone still reading? No? Well I don't blame you. I sort of disappeared for a while. I blame it on that cute little 1 year old I've got stealing my attention. And I'm perfectly OK with that! Last weekend I finally finished a project I've had on my list for about 6 months. 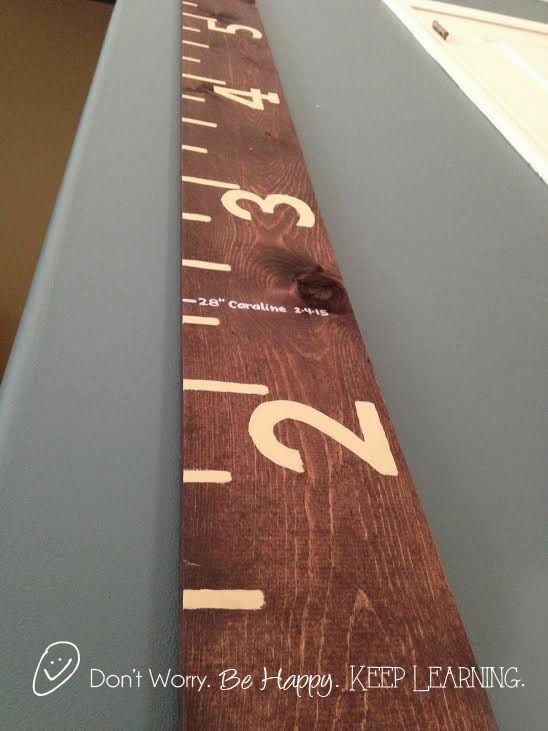 I made our life-sized ruler that will be used as a growth chart for Caraline and any child(ren) that may follow. 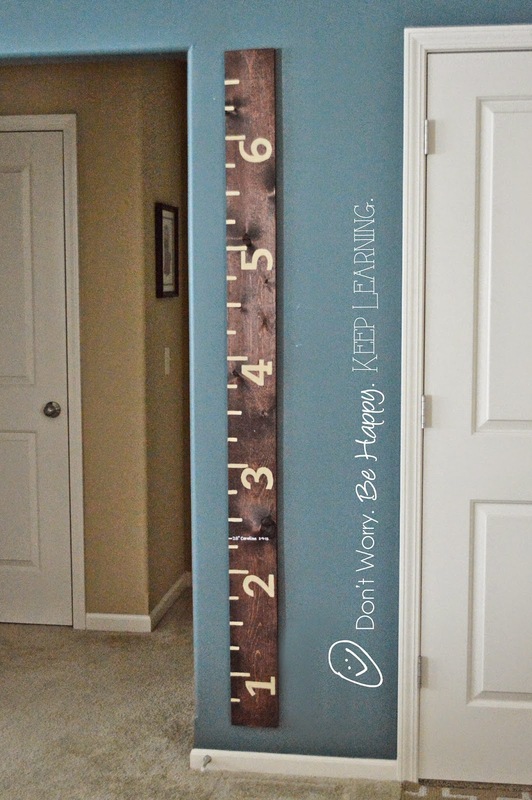 This way, when we move we can take the markings with us and not have to leave those memories behind on a wall! It was really simple to make. I stained a 1x6 plank of wood then painted it. 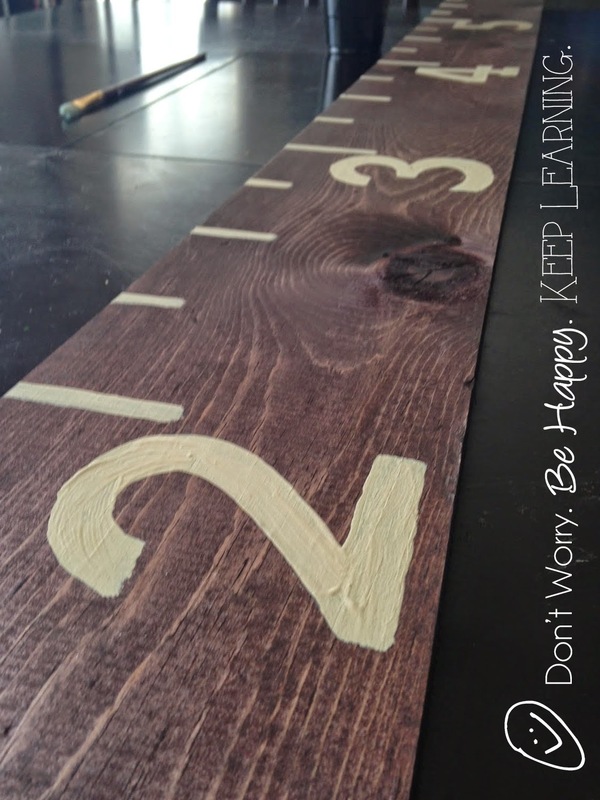 I used a stencil for the numbers and VOILA! I know I say this a lot after my projects, but seriously, I'm so happy with how it turned out! I've already added Caraline's 1st height at 28 inches. Our little lady is short, but her personality is HUGE. at 11:41 AM 1 Comments Topics: Baby Deak., Blog., Crafts., Design., DIY.